1 // Traditional or Self-Publishing? 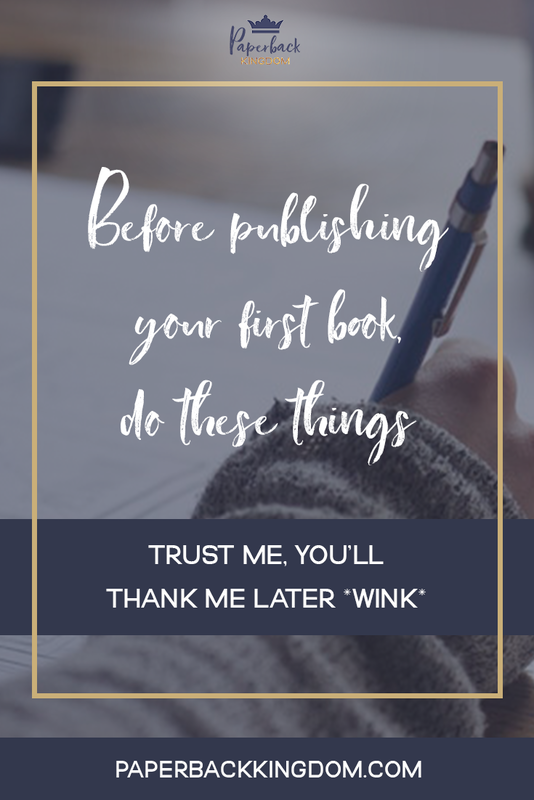 This is a valid, first question to consider— after all, the path you choose to take determines the overall process of publication for your book, and can completely change your to-do list. I don’t condemn either option; I am a self-published author, but I’m also working towards publishing traditionally. And, I work at a publishing house, so my perspective on the industry overall is rather broad. I believe both paths are viable options, and both are better suited to certain individuals. For a more in-depth comparison of the two options, and which one might suit you, I encourage you to check out this guest post I did over on The Rural VA.
2 // How Will You Launch It? Among all things to consider, I think the actual launch of the book is quite often overlooked. 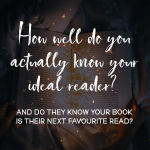 Many fail to recognize the importance of their book’s launch day— many just anticipate the end result of having a book in printed format to buy and don’t think past that point. Book launches are fantastic in the sense that holding one gathers a ton of potential customers in one place at the same time— and they all share a common interest, being books. You don’t have to spend money to get your sales pitch in front of these people; it’s a free marketing opportunity and a chance to build trust and relationships with readers (plus your mailing list!). 3 // What’s Your Strategy? 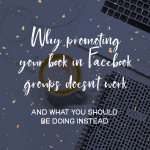 Having some kind of strategy is a very important thing (and you’d be surprised how many authors don’t have a strategy to promote their book). Whether it’s a plain old marketing strategy, a social media strategy, or a launch strategy— you need something, or else you’re going to end up with nothing. Now, before you freak out and think this is way beyond you because you’re ‘just a writer’— you are 100% capable of creating a great strategy that works for you. Trust me. This isn’t just any marketing strategy— it’s a book marketing strategy, and it’s tailored to help you and your book. You’re going to be able to understand exactly how it works, because it’s centred around you. Engagement: because we are inviting readers to engage with us and our products, not buy them. Trust: because we are building relationships that will strengthen our connection with readers, and influence them to come back again and again.